After dining at an eatery that offered “bite-sized” portions of signature desserts, I realized it’s truly possible to have a small albeit high-quality portion of something you really enjoy. For listeners wanting a solid taste of high-end sound on a limited budget, a few components promise a solid peek into the high end at a reasonable price. The audiophile press deems such modules “giant killers”— a misnomer as well as an overused term. In the end, you get what you pay for, and cost cutting means compromise. Nonetheless, you can cheat the equation in your favor. 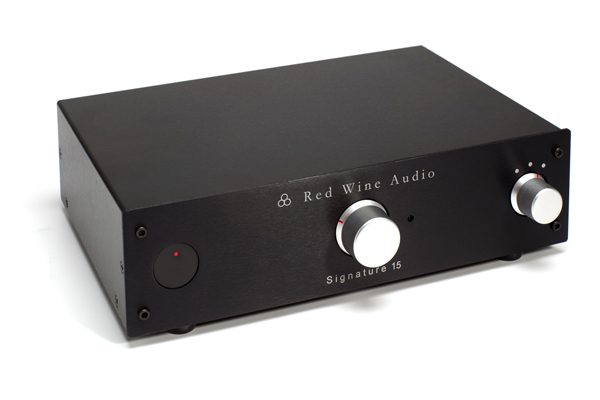 Enter Red Wine Audio, known in the hi-fi industry for offering high quality at reasonable prices. The company cuts corners in the right places, benefiting quality-oriented audiophiles that keep an eye on the bottom line. Red Wine Audio’s units sport well-done albeit spartan casework. Features are kept to a minimum and the manufacturer sells direct, eliminating the markup required to maintain a dealer network. No, this business model doesn’t always work. But Red Wine Audio’s small boxes keep to a minimum shipping expenses. The firm also offers some of the industry’s best trade in-prices (sometimes a full 100%) when new models are introduced. These factors, and others, result in a fiercely loyal customer base. 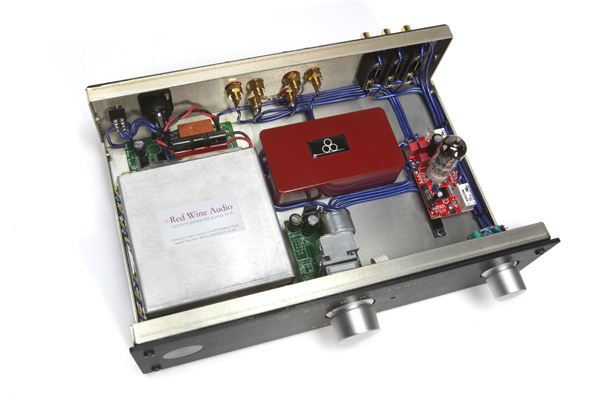 Red Wine Audio’s sophisticated approach to battery-powered gear is its other main calling card. The strategy represents an excellent tradeoff: Instead of sacrificing quality, the company increases it by eliminating the big, beefy power supply present in most amplifiers and replacing it with the high-current Lithium Iron Phosphate (LiFePO4) battery pack. Red Wine Audio correctly implements battery power, addressing a number of issues. Massive power transformers are fairly expensive. As are the huge bank of filter capacitors that must accompany a high-capacity power supply. 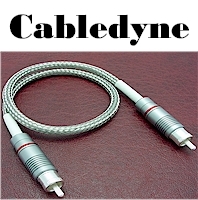 Hence, Red Wine Audio’s method stifles the build costs, saving the user on the retail price and eliminating the need for an expensive power cord and line conditioner. To charge, the $1,500 Signature 15 only requires a connection to the AC power grid. Given the LiFePO4’s presence in the integrated amplifier, what better song to play than Nirvana’s “Lithium” as covered by the Bad Plus on For All I Care. The Signature 15 immediately captures the track’s dreaminess, with lead vocalist Wendy Lewis floating between the speakers, which do a fantastic job of disappearing. What’s responsible for the quiet backdrop permeating the presentation? The battery pack. And what’s blacker than black? The Signature 15. The record’s next track, “Comfortably Numb,” is even more scrumptious. Lewis’ phrasing includes multiple dead stops and, thanks to the Signature 15’s slight warmth and incredible decay, she and the bassist float off into a super-quiet place. 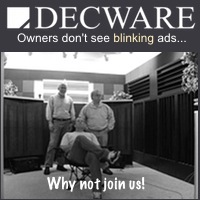 You’d never guess you are listening to a $1,500 integrated amplifier. And that’s exactly what makes the Signature 15 so awesome. Thanks to the absence of background noise, instrumental and vocal textures are exquisitely rendered and low-level details easy to discern. Zooming back through a recent crop of Audio Wave Blue Note XRCDs, I can’t help but notice what a killer job this amplifier does with Johnny Cole’s trumpet on Little Johnny C. Wow. The solo during “My Sweet Passion” makes me feel like I’m back in Kevin Gray’s studio listening to the master tape. The Signature 15 is the antithesis of grain. Admittedly, the Peak Consult Kepheus speakers give the Signature 15 some help due to their high-resolution capabilities. Yet this amplifier’s “signature” sound plays through whatever speakers with which the unit is paired. If you’ve ever had the chance to listen to a great straight-line-tracking tonearm, you’ll find battery power possesses similarities. There’s a certain cleanliness, and at the same time, an unmistakably, highly organic sound. 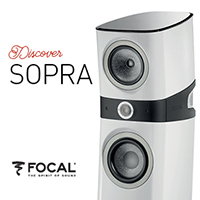 On the Cole disc, the Signature 15 captures the timbre of the horn with lightning-fast acceleration and deceleration, providing the necessary dynamics and furthering the illusion that one is listening to live music. Getting a little funkier, Herbie Hancock’s Headhunters doubles as an obstacle course of acoustic pylons through which the Signature 15 easily weaves. It anchors the bass line while intelligently sorting Hancock’s layers of electronic keyboards. Metalheads with inefficient speakers will need a different amplifier. 15 watts per channel (yes, it does double into four ohms) and a pair of 88db speakers will not rock you like a hurricane. 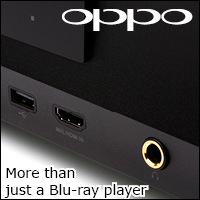 However, you can listen at moderate levels with lower-efficiency speakers. The 85db Dynaudio Confidence C1 IIs, courtesy of an easy-to-drive first-order crossover, prove a wonderful combination on all but the heaviest music. Indeed, this partnership will come on like a dream to jazz and blues aficionados living in a small space. Fleetwood Mac’s Blues Jam in Chicago stuns the senses, painting a soundscape that extends past the Dynaudios and all the way to the room boundaries, about 8 feet from the sidewalls. As much as I love big amplifiers, there’s something special about the simplicity a low-powered amplifier brings to the equation. Nelson Pass and a few other designers often talk about the paradigm of the very simple circuit. It’s time to invite Red Wine Audio designer Vinnie Rossi to the conversation. With the Signature 15, he mines pure gold with an amplifier that expresses the soul of music. If you’re first and foremost a music lover, chances are you aren’t hung up on craving a ½-inch thick front panel, massive remote, or other fancy cosmetics that—while they are nice on the world’s finest components—don’t add to the sound. The Signature 15 is a budget component in price only. Its musical experience is caviar. Logistically, it features three high-level RCA inputs, a pair of solid speaker binding posts, and a buffered line–level output for those needing to incorporate a powered subwoofer. The binding posts and jacks are the same as those employed on my Conrad Johnson Premier 350 power amplifier. Again, Red Wine Audio follows a “quality where it counts” philosophy. Removing the cover reveals a single 6922 (ECC88 or 6DJ8) tube and tidy layout. Battery and charging circuitry are off to one side, tube preamp/buffer stage on the other, and the AB Mosfet power amplifier hidden inside a red case. The Stock JJ ECC88 provides excellent tonal balance and low background noise. Anyone wanting to tube roll can fine-tune the Signature 15 to personal preferences, and still, the stock tube constitutes an excellent place to begin listening. 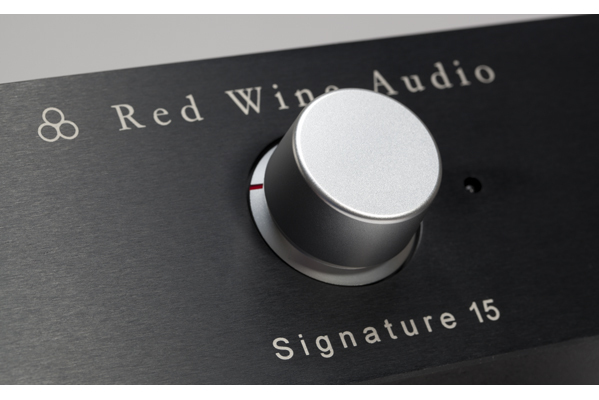 Time and again, at reasonable levels, with the Red Wine Audio Signature 15, you’ll swear you are listening to a much more expensive amplifier. That’s this product’s essence: It’s a single bite of the best chocolate mousse. Yum.